DOCUMENTING her everyday life as a wife and mother, Bindy Scott was surprised to see the most unexpected blog posts had collected her new followers from across the country, and possibly the world. 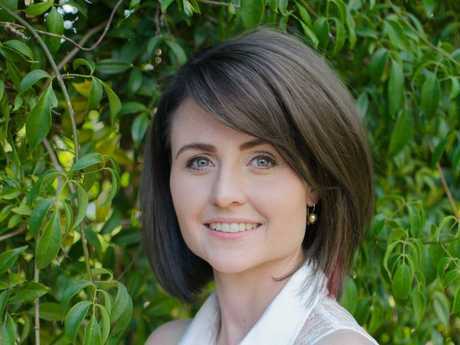 The mother-of-two from Meringandan West, just outside of Toowoomba, is the creator or ModernWifeLife31, which she aims to be an encouraging and uplifting blog for women. Among posts to do with cleaning and her top tips for surviving a heatwave with kids, were two posts that have gathered a little more attention. 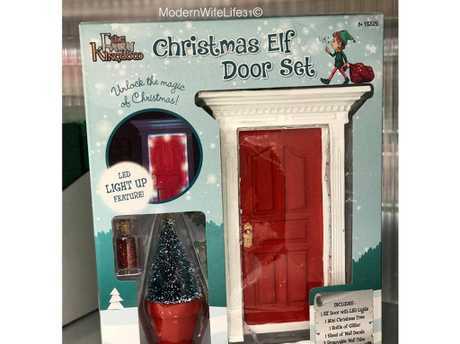 With hundreds of thousands of views on Facebook, a post about a "new Kmart Christmas find" of a $15 Christmas elf door went viral and Mts Scott said it was simply because "mums love Kmart" as well as Christmas. But Mrs Scott has gathered even more attention for a simple idea on how to make money. In fact, how to make $400 in just two days. The blog post titled "Tips on how to declutter and make money" saw Mrs Scott make hundreds by selling unwanted goods on sites like Gumtree. "I was motivated to start spring cleaning and decluttering our home. Thanks to that sudden urge to 'move the clutter' I made around $400 in two days," she posted. "I just sold a few items we no longer use and - (made) a few extra hundred dollars in my pocket. "So I thought in this post I would encourage you to do the same. Go through your wardrobe, your cabinets, your home - sort out what you don't use anymore or what you don't really love and pass it on." Mrs Scott admitted the attention was quite surprising, but she enjoyed creating posts that were realistic for other women. She started blogging eight years ago, under a different name, as more of a lifestyle blog about being engaged and eventually married. After her daughter Lulu, now four, was born she wanted to take some time off from sharing her life. But after LuLu turned one she decided the time was right. "The direction I wanted to take was completely different and so I created a different space," she said. "It is more personal things that have helped me and can encourage women." "I try to aim for my blog to be an encouraging and more uplifting blog for women and mothers. "Motherhood is such a fleeting season in our life. Struggles have to be highlighted but at the same time there are lots of great things about being a mum and I want to encourage them to embrace that." To see more from her blog click here or find her on Facebook, Instagram, Twitter, Pinterest and YouTube. Why we love Kmart: Relaunch of brand has payed off.